University of Kentucky materials are on ExploreUK. 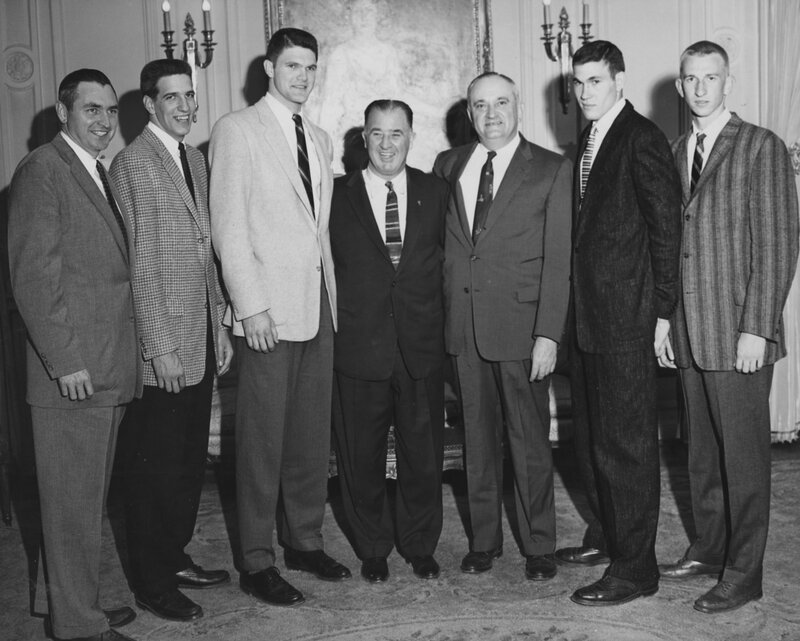 This item: Basketball team members, 1958 championship season, (left to right) unidentified, Bill Lickert, Ed Beck, Governor A. B. "Happy" Chandler, coach Adolph Rupp, Johnny Cox, Vernon Hatton.